Many cosmetic enhancement treatments and procedures can be very effective at tightening skin around the neck, face, and jowls. However, despite the improved look, you may still notice age spots, acne scars, crows feet, mouth/lip wrinkles and other areas on the skin that remain prevalent. Dr. Wally Zollman offers skin rejuvenation treatment called CO2 laser resurfacing that can tighten facial skin while removing unwanted blemishes. 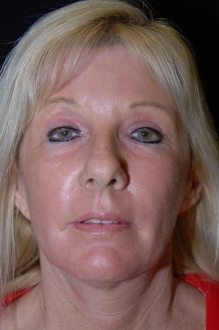 As an alternative to facial cosmetic procedures such as the traditional facelift, this minimally invasive laser technique can be used on the entire face and is especially effective around the eyes. 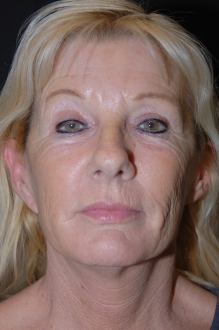 When combined with other rejuvenation procedures, CO2 resurfacing results can be even further enhanced. Dr. Zollman often combines the laser treatment with the MACS facelift resulting in a more revitalized look for both the neck and face. Depending on your particular needs, the CO2 laser can often produce more dramatic enhancements than other laser treatments available. In Dr. Zollman’s experience, CO2 laser resurfacing can be particularly effective at eradicating age spots and sun-damaged skin, as well as minor scarring and smaller wrinkles particularly around the eyes and mouth. 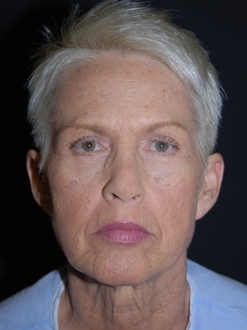 The treatment is typically performed from the jowl line to the forehead as an outpatient procedure under general anesthesia. Outer layers of damaged skin are removed to make way for smoother, healthier skin rising to the surface. Additionally, the laser heats sub-layer tissues to further tighten and smooth your facial skin, resulting in a healthier glow. After the procedure, you can expect to experience swelling and redness; however, symptoms may differ depending on the intensity of laser resurfacing treatment you received and your skin type. Dr. Zollman will anesthetize the main nerve in the face lasting 8-14 hours to ease any discomfort, and he encourages at least a 7-10 day period before wearing makeup. Every patient heals differently, so recovery times may vary depending on the individual. 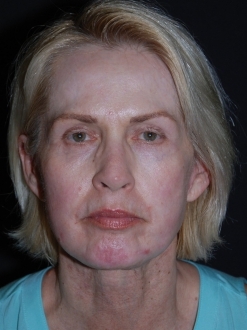 For more information on CO2 laser resurfacing, please contact Zollman Plastic Surgery. Our experienced and courteous staff will help you schedule a private consultation with Dr. Zollman and answer any questions you may have about our cosmetic enhancement procedures.